How can Chiropractic Care Help with Sleep Issues? Do you struggle with poor sleep? Whether you struggle to fall asleep, you wake up often, or you just can’t seem to get any sleep, any time of sleep dysfunction or insomnia can be detrimental to your health and daily life. That’s why many are seeking help from their Chiropractors after learning that chiropractic care can help with sleep issues. Take a look a closer look at different sleep issues, how chiropractic care can help, and how to set your night of sleep up for success. 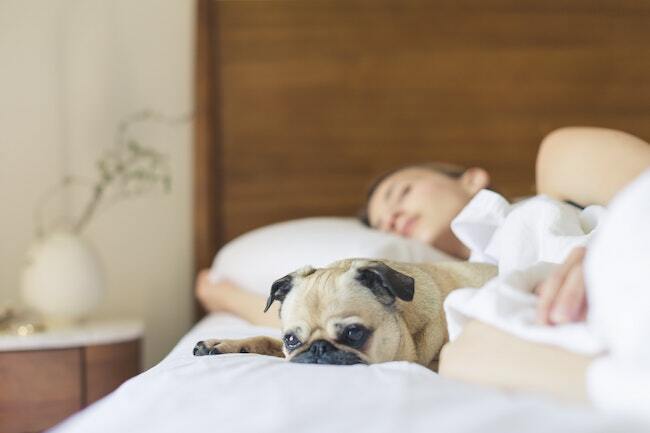 It turns out at least half of North Americans and even more suffer from a sleep disorder but most don’t seek medical attention for their sleep problems. In addition, physicians often don’t ask patients about their sleep patterns, causing this to often go unchecked. The problem is that people need between 7 and 9 hours of deep, restorative sleep each night and often people get much less or even too much sleep. Without proper sleep, your body can’t heal itself and rejuvenate for a new day, bringing you the proper energy you need to function. Inadequate sleep leads to things like mood disorders, weight gain, heart disease, and a shortened life expectancy. If you go without proper sleep for a long time, you could end up with increased inflammation, a higher risk for cancer and diabetes, and impaired blood sugar balance. Since poor sleep inhibits leptin, your body struggles to feel full and you’ll be more prone to oversleep. You need sleep for hormone balance, waste removal, and rejuvenation. In order to avoid or correct these sleep disorders, you need to start getting your health in check. Start by working on your nervous system since the brain and nervous system control the rest of the body. You can balance the autonomic nervous system, the area that includes all of the nerve roots connecting to your vital organs, by eating well, proper posture, deep breathing, exercise, and reducing stress. This will allow for sleep hormones to balance and for better function of the systems the nervous system controls including your heartbeat, breathing, and blood pressure. When you don’t keep things in balance in this area, you’ll end up with a misaligned spine and posture, difficulty resting, and issues with the body’s communication system needed to heal you. Fortunately chiropractic care can resolve this because your chiropractor can remove the interference you’re experiencing in your autonomic nervous system leading to balance sleep hormones. If you’re struggling with sleep issues, see your chiropractic for a spinal adjustment and to discuss your lifestyle habits that could be contributing to the problem. In addition to a spinal adjustment, your Chiropractor will discuss with you how to optimize your bedtime routine to make sure you are allowing for the best sleep. For example, you’ll want to keep a routine so that you r body can get used to going to sleep and waking up at the same every day of the week. You’ll want to reduce caffeine early in the day to ensure you can fall asleep at night. You’ll also need to look at how comfortable your bed is and if you are keeping the room warm enough at night to be comfortable, somewhere between 60 and 69 degrees. Next, you’ll want to make better choices during the day such as getting plenty of exercise and sunlight during the day, while taking a bath with Epsom salt at night before bed and quitting any screen time an hour before bed ensuring that the room is in total darkness during sleep. Keep pets out of the room if they bother you during sleep and turn off anything electrical to avoid their electromagnetic fields from disrupting your pineal gland during sleep. Make sure your nighttime routine is stress-free. Fortunately Chiropractic care can resolve your sleep issues but it’s important to form better habits each day that will contribute to a better night’s sleep. Disorders that involve a delay in development of social and communication skills are typically grouped together into a category named Pervasive Developmental Disorder (PDD). Symptoms that arise from PDD can be evident during infancy and are most commonly identified before a child turns 3 years old. Difficulty using and understanding language, trouble relating to others, avoid changing their routine or going to unfamiliar environments as well as repetitive purposeless body movements are some of the various symptoms that are frequently cited in individuals with PDD. The condition of PDD is included within the autism spectrum. A cure for PDD has yet to be determined although, there are many other methods that are currently being used to decrease the symptoms or the severity of the present symptoms. Several current treatment methods are medications as well as occupational and physical therapy. The individual in this case study is a 3 year old male with PDD and Sensory Processing Disorder. The mother of the child sought help from a chiropractic office in attempt to manage the symptoms her son had been dealing with. The young boy was developmentally delayed by 25% or greater in fine motor skills, communication, cognition, social and emotional skills. He would choose to crawl instead of walk. However, the child was unable to cross crawl which is an important skill for kids to master as it develops proprioception, coordination of limbs, muscle balance and strength. Occupational therapists and physical therapists noted that this child had low muscle tone and possibly lacked adequate sensory perception. The child began Chiropractic care twice a week for the first four weeks and then progress to once a week for the following 4 weeks. At each visit the Chiropractor would examine the child for any vertebral subluxations. Following care and upon the first re-evaluation the patient had improved in several objective tests as well as increases in subjective measures expressed by the mother and therapists. 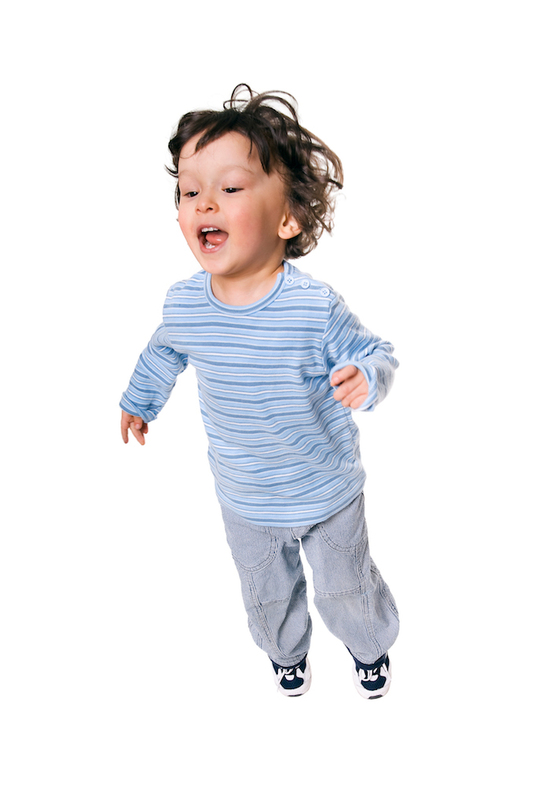 The mother had been extremely thankful as her son has shown improvements in his communication and language skills, to add, he began to walk and even run on his own. The current occupational and physical therapists of the patient were surprised at the benefits displayed from chiropractic care as they stated that they had never observed such impressive improvements in a very short time frame. The child continued Chiropractic care for the following 10 months since improvements in development were continually being seen. Improvements seen included boosts in his language skills, processing of sensory information and increase in muscular strength. The previous issues of swaying and rocking as well as low muscle tone had been reduced. Cohn, A. (2011). Improvement in Autism Spectrum Disorder Following Vertebral Subluxation Reduction: A Case Study. Journal Of Pediatric, Maternal & Family Health, pp. 87-91. Have you ever been curious to find out some tried and true tricks to get rid of those nasty headaches you get? Taking over-the-counter medicines and getting chronic headache prescriptions from the doctor just isn’t the healthy way to go. There is always a reason behind things like this and finding out the source can help you get rid of the pain for good. If you want to try natural remedies, you may just find one of these does the trick and explains why you were having the pain in the first place. Take a look at the top five natural remedies for incredible headache relief. One simple way to start headache relief is throw out those over-the-counter medicines and put something else in your medicine cabinet instead. Essential oils and magnesium are both great options for incredible headache relief. Specifically, peppermint oil and lavender oil are great treatment options for your headache pain. Peppermint oil stimulates the blood flow in your forehead which relaxes headache pain. Lavender oil is great for stabilizing the mood and relaxing which makes it perfect for the headache sufferer that needs a sedative effect like this. Be sure to add magnesium to your collection because this one is one of the best for relieving pain from headaches. Rather than harmful NSAIDs and aspirin, try magnesium to treat your migraines and cluster headaches. You can take it orally and intravenously, but you can also find it foods like beans, broccoli, nuts, whole grains, and seeds, and even in things like chocolate and your morning coffee. It works well because it blocks the chemicals in your brain that transmit pain and improves your body’s reaction to injuries. Low magnesium levels in the body can actually lead to blood vessel problems, high blood pressure, and heart disease, so it’s important that you are getting this anyway. A great way to reduce your headaches is to be seen by your chiropractor for an adjustment to determine the source of your pain. Your adjustments will work to repair damaged DNA by acting as an antioxidant, while also reducing stress and improving overall organ function. The spinal manipulation by your chiropractor will definitely relieve your headaches. Another treatment method that works well is acupuncture which stimulates points on the body to seek a balance to its energy. It’s been used to treat all kinds of diseases and conditions since it’s proven to relieve chronic pain and disease. Sometimes headaches are a result of a lack of water. Many times a headache is a sign that you are dehydrated, not getting enough rest, or not getting proper nutrients. By making a point to hydrate better and get plenty of rest, you can find out if that was the simple cause to your headaches or if there is more to the story. Begin to make an effort to practice good posture, stay hydrated and avoid alcohol which dehydrates you, and get plenty of sleep. You also may be straining your eyes at work and they need a rest, or you could be suffering from constipation from a lack of hydration. Sometimes allergies cause headaches from a lack of proper diet and rest. Knock out the coffee, alcohol, and sugary drink habit and replace it with water. Eat more hydrating fruits and vegetables, start getting better sleep in a very dark bedroom, and give your body rests from sitting at work or staring at a screen too long. Diet changes can address the nutritional deficiencies. In addition to more fruit and vegetables and more magnesium-friendly foods, and skipping the beverages that dehydrate you, be sure to get more B vitamins into your week to address one cause of your headaches, reduce or get rid of gluten completely in case of a sensitivity, and bring in butterbur and feverfew herbs into your diet. These herbs are great for reducing migraines, while a gluten sensitivity or a B vitamin deficit could both be contributors to your headaches. Lastly, make sure you are getting enough movement. Sometimes forgetting to stretch, forgetting to take breaks, and sitting too long causes headache pain due to the built-up tension in the neck and back. Use these great methods for relieving headaches in your life and feel confident that these natural remedies will find the source of the problem rather than masking the pain with pain killers. .